Doolin Pier. Doolin County Clare. Doolin has had a pier for as long as anyone can remember. The old pier had proved useful and served fishermen for years. Then, the ferries to the Aran Islands started in the 1970’s. As The Aran Islands grew in popularity as a tourist venue the number of ferry boats and the volume of passengers has grown every year. For the last decade or more the existing pier has proved to be unsuitable and even dangerous. The old pier is not accessible at low tide and this means that passengers were forced to use smaller curraghs to board the ferries. Learn about Doolin Pier here. Comprehensive history review under way. Get it here first. Currently 2 ferry companies and a café conduct business at the pier. Save money on Doolin Ferry Tickets. Click the button below. 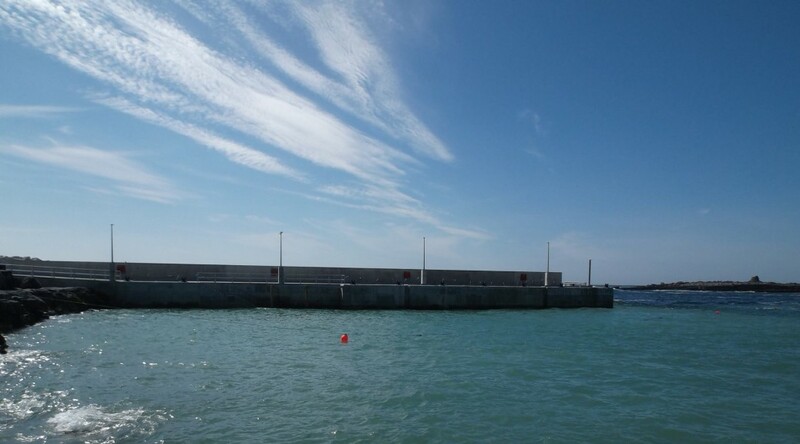 Construction on a new pier commenced in 2014 and is completed. Read about the official opening of Click Here for Doolin Pier opening story. Official opening was held on June 19th at noon.